1) Each team should contain at least 2 members. 2) Papers should strictly adhere to the IEEE format. 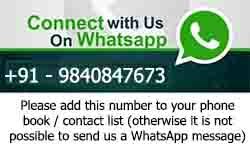 -->Contact details – Mobile No. and Email-id. 3) 3 hard copies of papers need to be brought during presentation. 4) Participants are requested to bring the presentation slides in CD and pen drive during presentation. 5) All innovative technical ideas will be encouraged and given a platform for presentation.